Veritas Development is led by Ryan McNeil and over the last several years have acquired several tracts opposite of Penn Square Mall. The group first purchased the former Salvation Army property and several homes from Chesapeake Energy in 2016. Last year Veritas also acquired the Penn Park and Registry office complexes, pushing their holdings in the area to just under 12 acres with almost $15 million in total investment. The developers have held approximately six meetings with local residents over the last year to share their conceptual plan, which calls for re-routing NW 50th through their prposed project and in alignment with a traffic light which also serves 50 Penn Place to the east. Currently, traffic cannot turn left from NW 50th onto Penn, nor can it turn left onto 50th from Penn. 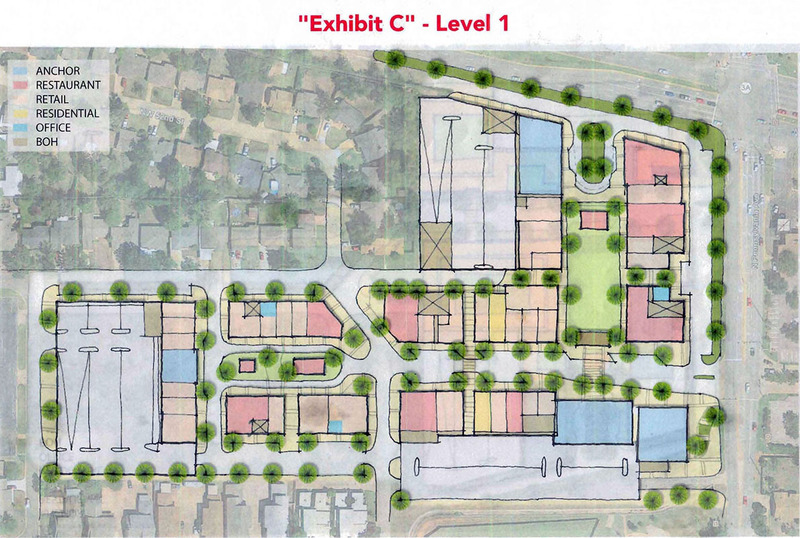 Preliminary plans distributed to surrounding neighbors show the demolition of all existing structures, NW 50th rerouted to the south, and several new buildings featuring retail and restaurants on the first level, then apartments and offices on levels 2 through 5 above. 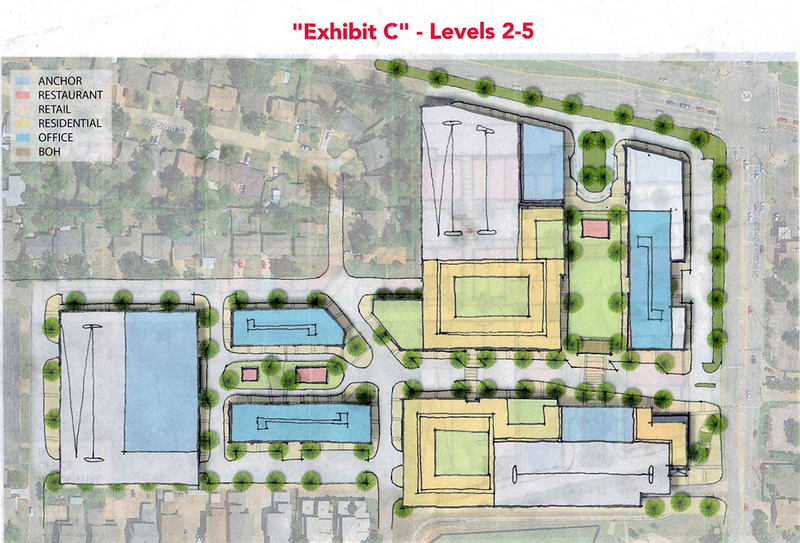 There would also be several multi-level parking structures. In 2016, Veritas received approval from the city's planning commission to rezone the old Salvation Army property and homes on Barnes to a Simplified Planned Unit Development (SPUD) which at the time was to feature a Starbuck's with a drive-thru and two more small commercial buidlings. Read our story on that project here. In early 2017, the Salvation Army building was demolished but the houses on Barnes have remained rented to tenants and well occupied. Veritas has sent letters to the approxmately 115 homeowners in the Wileman Fourth Addition, a neighborhood bounded by NW Expressway, 50th, Villa and Penn. The letters offer $500 to those who sign a document saying they agree to amending the platted restrictions and re-zoning 5 homes to commercial. Correspondance has also been sent to homeowners within a 300-foot radius of the Registry building seeking to release covenants regarding height and building setbacks, among others. Veritas is offering $200 to homeowners who sign off. 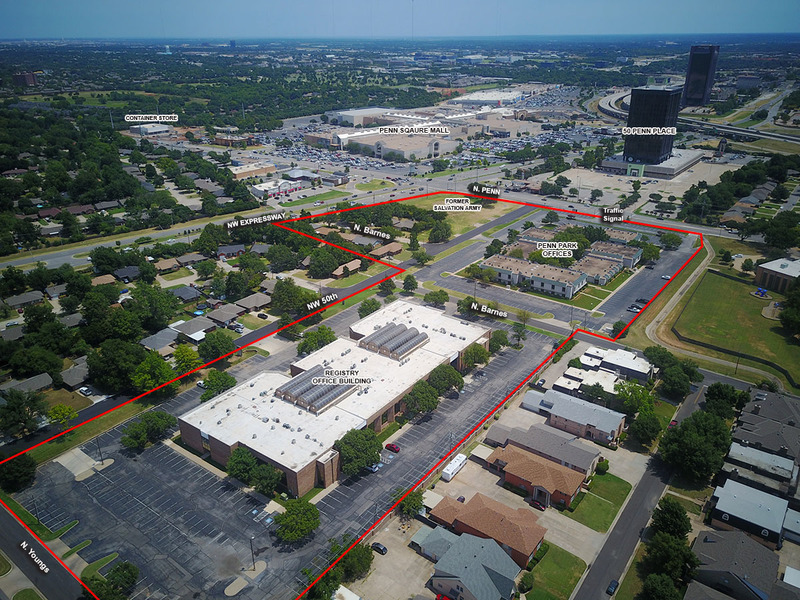 If Veritas is able to obtain the needed signatures, the next step would be to officially file rezoning plans with the city of Oklahoma City, at which time surrounding property owners – both residential and commercial – will be notified. All meetings of the planning commission are open to the public. 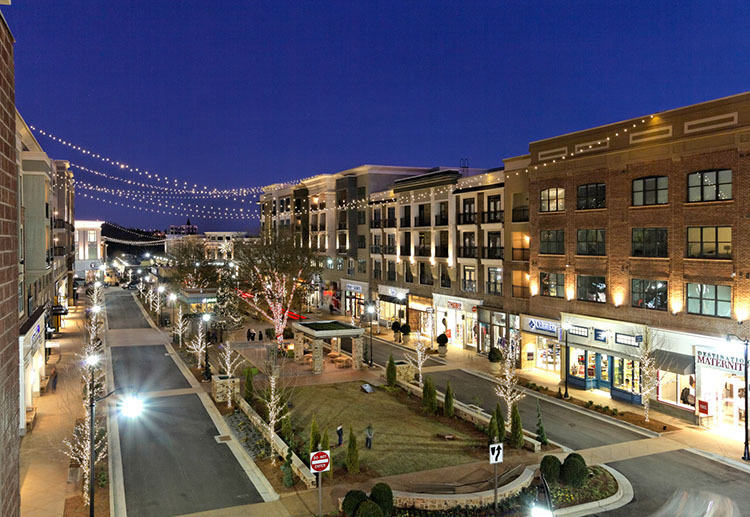 The developers are using Avalon (images below) in suburban Atlanta as an example of what they hope to achieve at this site.